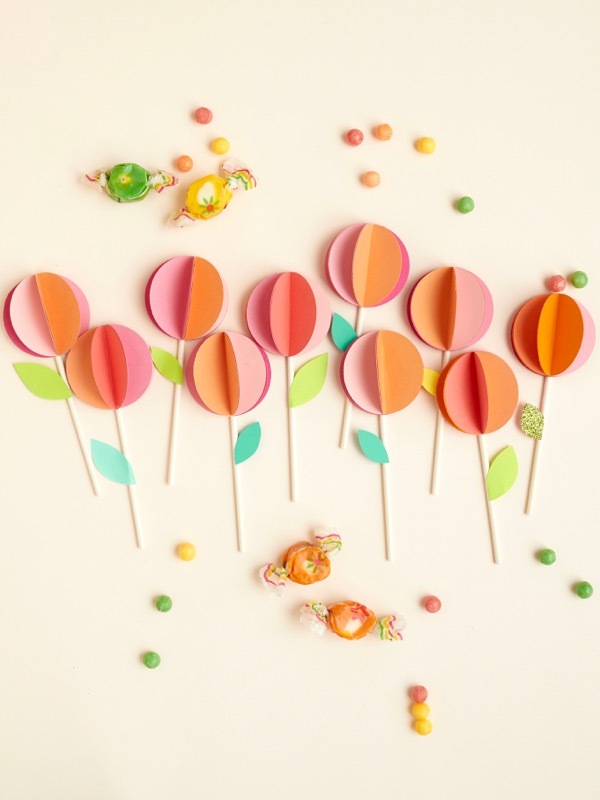 Can’t wait for Spring to come around? 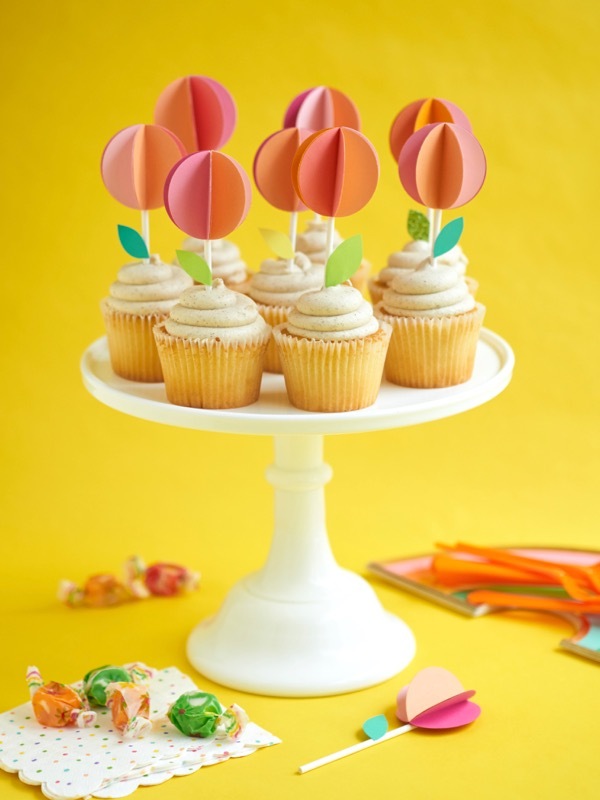 Celebrate early with these pretty flower cupcake toppers – choose whatever color papers you’d like, and turn your cake or cupcakes into a newly blooming garden. 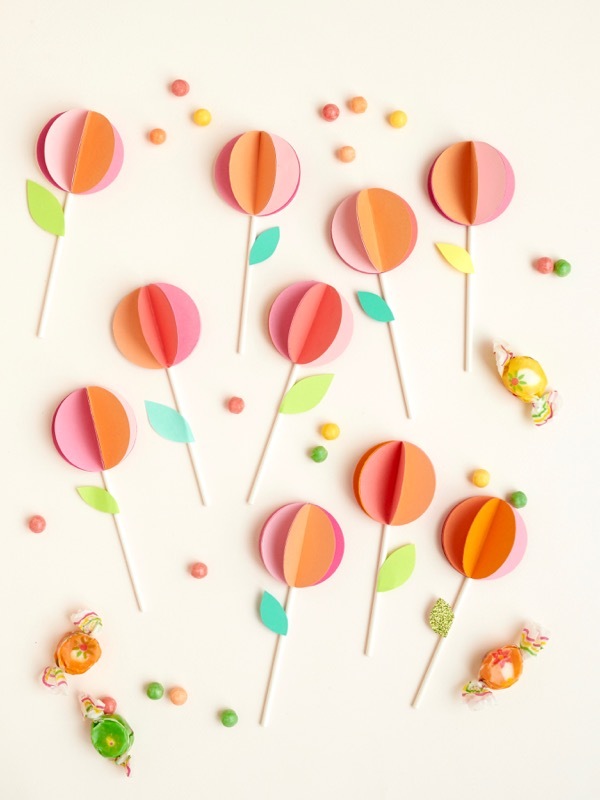 Materials needed: brightly colored card stock, 2″ hole punch, hot glue gun, green paper, scissors, cake pop sticks. 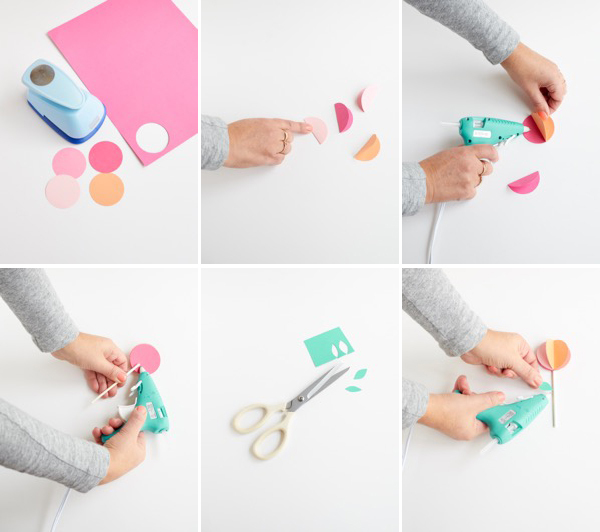 Step 1: Punch out 5 different colored circles. Step 2: Fold 4 of them in half, being sure to crease the fold. Step 3: Lay the flat circle down first, and using hot glue, stick a folded circle on top of the one that is laying down. 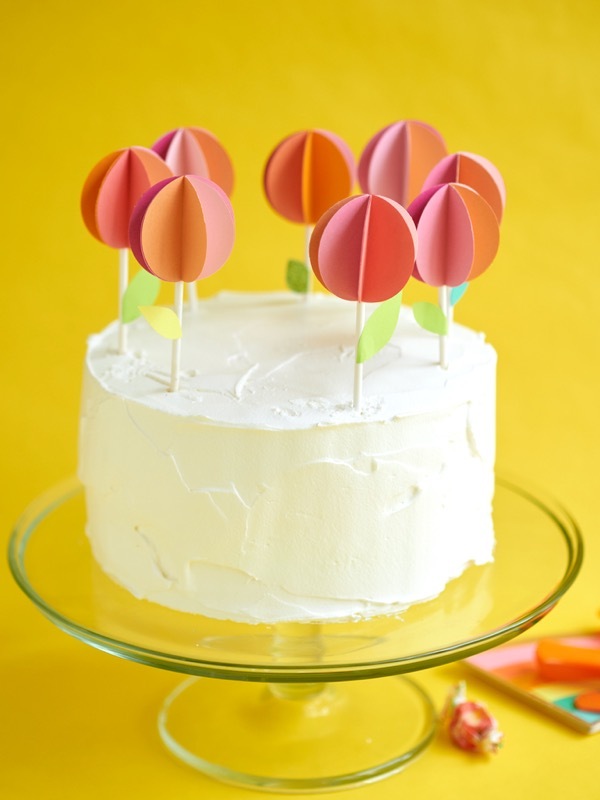 Step 4: Using hot glue, attach another circle to the circle you just glued on. Step 5: Repeat with all the circles until you can glue the last circle to the piece still laying down. 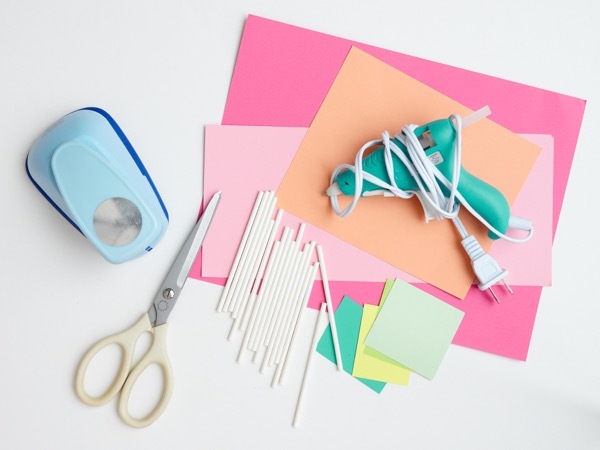 Pull away any stray strands of glue. 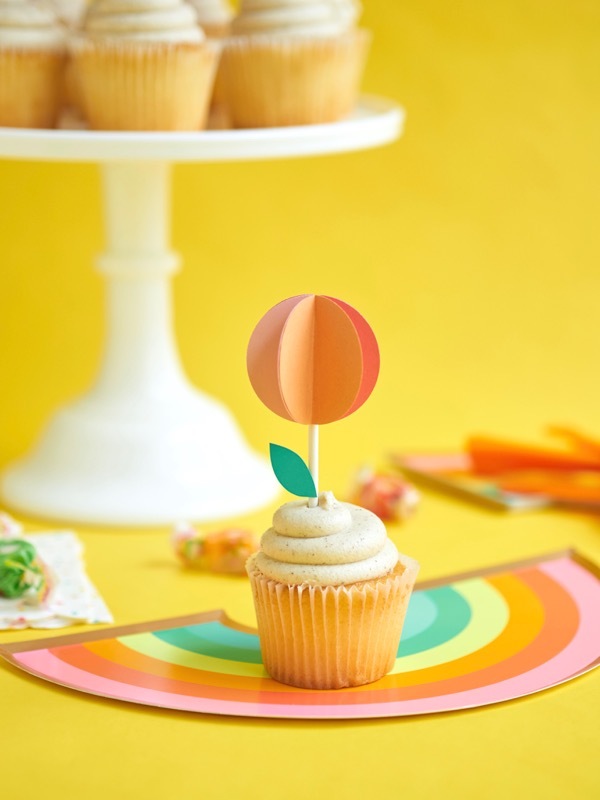 Step 6: Cut out a small green leaf and attach it to the cake pop stick. 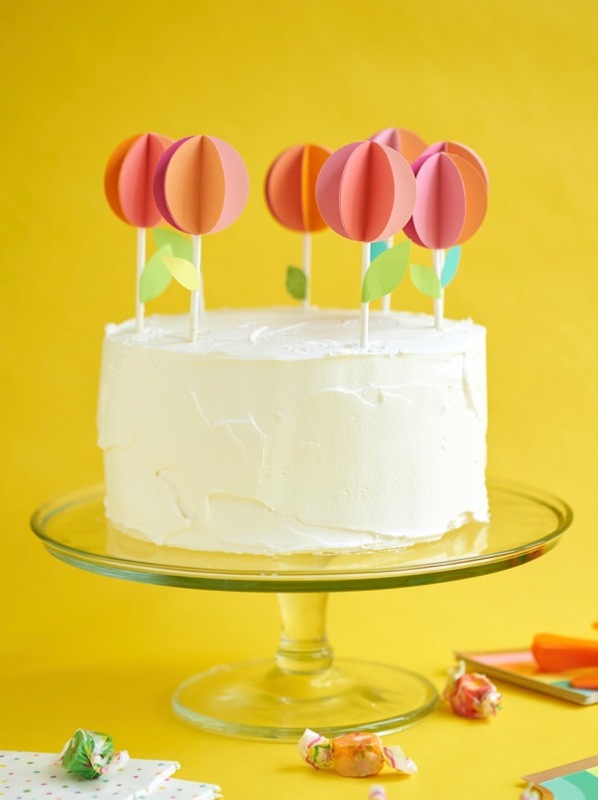 Attach the flower to the top of the cake pop stick.